A recent transplant from the automotive industry, Trey has worked with me for almost 2 years now. Since then he has been promoted to Internet Manager and I can eventually see him running an entire sales department in the very near future! Sign up receive updates as they are posted. Robert started out in our BDC and showed so much initiative that he was promoted to the Sales Department. Due to his successful sales career, he has since been recruited by an outside company and promoted to a management position. Congratulations Robert! Junior is one of my sales trainees who has only been in this industry for approximately 6 months. He is progressing every month and has a bright future ahead of him! Shannon ROCKED it the following calendar year!! This is the "before" and "after". 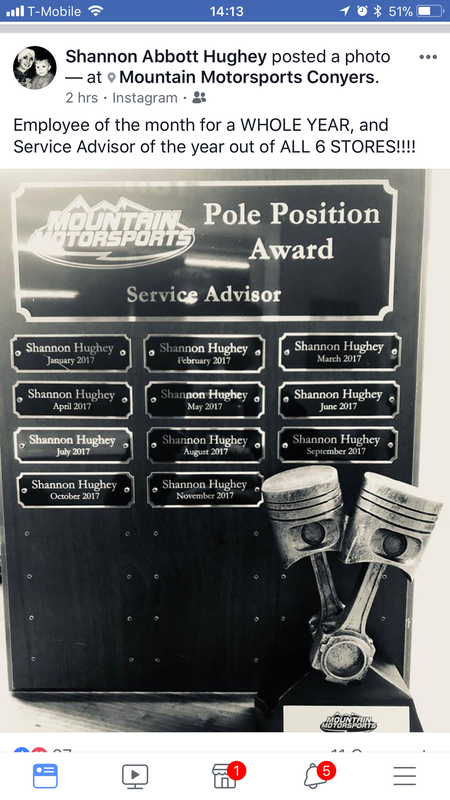 Our training began in 2016 and Shannon used the trainings to become the #1 performing Service Advisor for 2017!